Information on the following Thermo Scientific software product. Please note: Since early october 2017 any version of RheoWin may display a database error message directly after it is launched this problem is caused by a bug in a Windows update. The above problem is now (mid November 2017) solved (for any RheoWin version) by Microsoft with new Windows updates. The RHEONAUT module couples an FTIR spectrometer to a standard HAAKE MARS rheometer, allowing for the simultaneous rheological and infrared spectroscopical examination of a sample in a shear field. 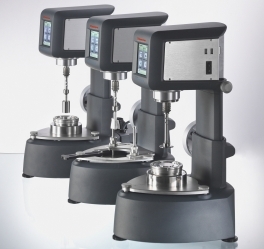 Click here to access the list of upcoming and past (recorded) webinars on rheology/rheometer that you can view online. ©2019 Thermo Fisher Scientific. All rights reserved.